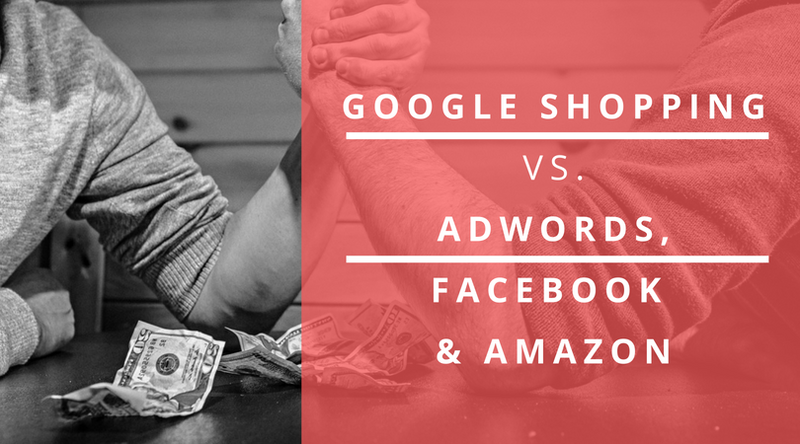 How do Google Shopping Campaigns compare to Adwords, Facebook & Amazon? Where Should You Advertise? Remember when Google used to be the only go-to resource to finding products or services online? Ah, the simpler days of the 2000s. Nowadays, it’s a great divide between power players, each of them leaders in their particular industry. Google is fighting on multiple fronts, with Google Shopping and Adwords campaigns, Facebook is becoming more and more business oriented, while Amazon provides meaningful competition in terms of attracting product-focused searches. 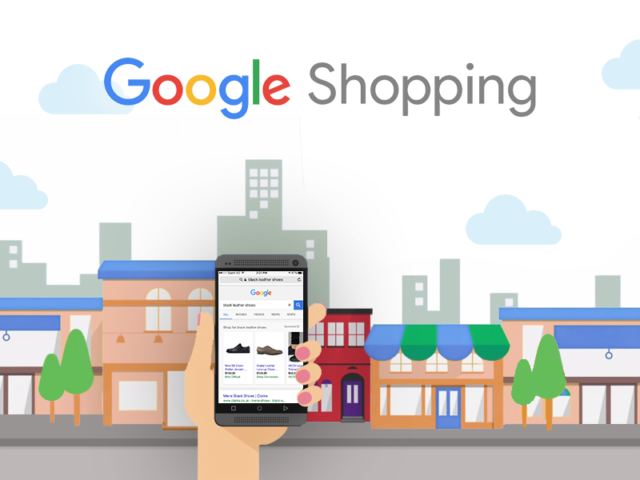 Today, we’re comparing Google Shopping campaigns, one of our most popular and requested services, to 4 of the most powerful platforms for retail marketers – Adwords, Facebook, Instagram and Amazon. We’ll also explore when, why and how to use them to get more opportunities to convert and drive sales. Why these 4 platforms? They are among the popular choices for ecommerce marketers as an effective means to promote and sell products online. At the same time, there are some key differences between them. Understanding these differences is critical to using them at full potential and getting the most bang out of your buck. Of course, using each platform as part of a multi-channel strategy would be best, but if you have to choose one, this guide will help you make an educated decision that suits your business. Together we’ll explore their similarities, differences and benefits to discover what the right choice is for you in where to put your money to work for advertising. 1.1 What are Google Shopping Campaigns? 1.2 How do Google Shopping Campaigns work? 1.3 How much Information do Google Shopping Ads require? 1.4 Creative effort – how much work do PLAs need? 1.5 Ad Placement – Where Do Google Shopping Ads show up? 1.8 Who are Google Shopping Ads best for? 1.9 How do you get your products on Google Shopping? 1.10 Advantages: Why you should be using Google Shopping Ads? 1.11 What does Google Shopping cost? You might have heard of Google Shopping campaigns before as PLA’s or product listing ads. Here at Adfix, we use both terms, as they mean the same thing. The program, which is designed to showcase and promote products, with image based ads displayed in search results, consists of the Google shopping data feed, the Merchant Center dashboard and the Product Listing Ads campaign section, located in Google Adwords. The ads themselves include product name, price, photos and a link to the seller. Request a one on one consultation to decide how to use Google Shopping campaigns for your eCommerce needs! Google Shopping campaigns started gaining popularity in early 2013 and have seen a growth of around 30% per year. That’s huge! Today, they’re Google’s most valuable ad types, with more than half a retailer’s AdWords budget now being spent on Google Shopping. There’s no doubt about it – when it comes to retail advertising, Shopping Ads are a great way of increasing ROI – and we’ve had plenty of experience using them for our clients. Information, as in what type of information the ads require and transmit. Creative effort, meaning just how much work and creativity you have to put into launching a campaign. Placement, which is self-explanatory, as where the ads will show up in order to be seen by the user. Next is Targeting, where we dive into more details about the backend settings of each platform. Last, but not least, is Tracking, sharing where and how you can see and monitor results. Like most paid search ads, Google Shopping Ads are PPC or pay per click, so advertisers only pay when a user actually clicks on an ad and they’re taken to a landing page/product page. Unlike most paid search ads, Shopping Ads don’t require keywords. It’s up to Google to actually decide who to show your ad to, based on information you provide through the product data feed submitted in the Merchant Center. The good news? Once you upload your product data feed, all you need to do is keep it up to date. If you have optimized titles and descriptions, the keywords will be extracted by Google from there. This makes it easier to start a Google Shopping campaign, because you don’t have to go through the keyword research process. On the other hand, it makes it more difficult to control what search terms show up when people are seeing the ads. The ad will draw information such as image, price, seller name and other details such as shipping information, product rating or if it’s on sale or not. 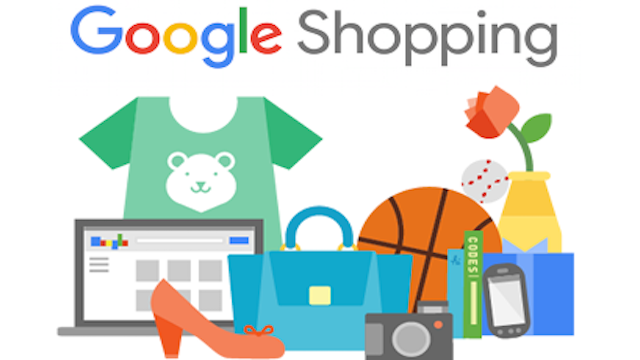 Since you bid on products, instead of keywords, Google Shopping campaigns are very visual. As an image-based ad, your product feed should include images, detailed product titles, as well as information such as whether your product is in stock or not. The ads themselves show up in multiple formats, including a scrollable carousel that can show at the top of the SERP. 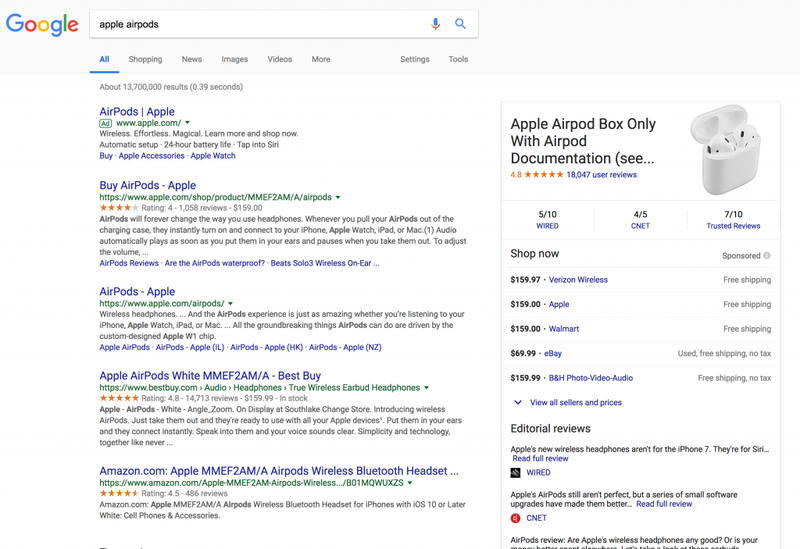 A clean, minimalist format, with a white background for every product, makes it easier for a user to filter through results on the Shopping tab, so, unlike search ads, it doesn’t really matter if you’re the 1st one on the left or the 3rd one on the right. At the end of every ad block, there’s also a “view all” link to google.com/shopping, where there’s a browsable list of products. The user can filter results according to different categories and get more information about each listing. However, in my experience, most traffic comes from the placement at the top of the SERP. Since being rebranded from PLA’s, Google Shopping Ads have seen improvements in terms of backend usability. There’s a clean interface, an editor and API for creating and managing the ads, with bid levers for attributes like location, device type and past site visitors. What makes Google Shopping ads stand out from other search campaigns is that they don’t trigger on every single search query. If Google considers the search to be purely informational, it will not show shopping ads at all, whereas with keyword based campaigns, if you put in a keyword and you’re not careful you can show up for unwanted searches that are not commercial intent. Once a product goes out of stock, the ad stops serving automatically so you won’t get any useless clicks and therefore won’t have to pay for them. 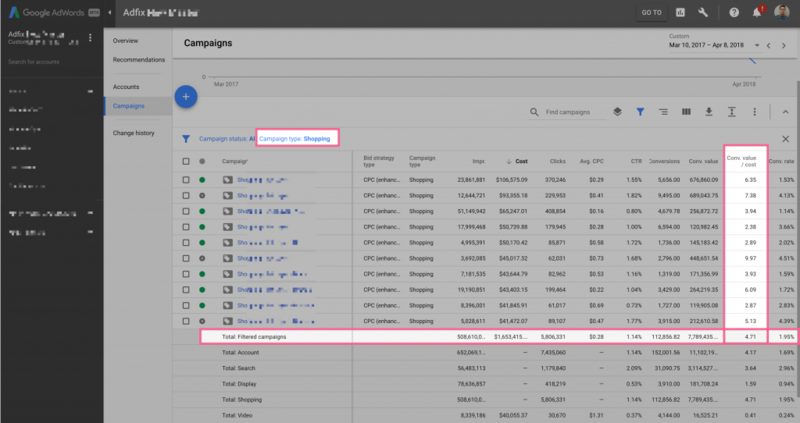 If you’ve set up conversion tracking in AdWords then you can see sales data for each campaign, ad group, product group or even search query. Also, if you’ve enabled auto-tagging you will be able to see more detailed transaction data in Google Analytics. You can also track traffic coming from your Google Shopping campaigns by adding tracking information to your product URLs. Two of the most versatile ways are through dynamic tracking, by including the Adwords_redirect attribute in your product data, or through Google’s ValueTrack Parameters, to obtain more granular information about campaigns. If you own an online store, you should definitely consider trying Google Shopping. It’s built specifically for ecommerce and gives you, the advertiser, the ability to show image and text rich ads right at the top of the search listings, with a higher chance of being seen by people with a high level of buyer intent. With such a visual-based format, images can have a massive impact, in terms of whether someone clicks on your product listing ads or not. Get the most out of those beautiful product images by listing them on Google Shopping. Since you don’t have to build a keyword list or work on extended targeting, Google Shopping lets you take advantage of your ecommerce website’s potential. Now that you know what they are and how they work, how do you get started with Google Shopping? First things first, make sure your products are eligible for Google Shopping campaigns. Here’s a list of unsupported Shopping content, to help you get started. Next, if you haven’t yet, set up your Google Merchant Center and AdWords accounts and link them together. A great source is always the step-by-step process on Google’s Support portal. Don’t be intimidated by the technical jargon: contact us today & we’ll help you improve your paid shopping campaigns! If you’re following Google’s own guided instructions, your next step is setting up your Google Shopping product data feed. You can imagine it as a spreadsheet, but it’s basically a file that has all of your products information (ie. size, color, URL). The information that you provide in your shopping feed must be thorough and align with Google’s product data specifications, and general shopping policies as well. After your initial upload, Google may take a few days to crawl through your feed and either approve or disapprove your products. This is a great way of addressing product information that is currently missing. The more complete your product information is, the better Google understands your products in order to connect you to more qualified buyers. As an ecommerce business owner, there’s a lot that Google Shopping can do for you. If you’re looking for additional information or help in this department, our team of AdWords certified professionals are ready to create, manage and optimize your account. Simply put, if you’re selling sneakers, the most valuable place to advertise is where people are looking to buy a pair of sneakers. Shoppers are actively searching for products, and they usually already know what they want = their buyer intent is generally high. Google Shopping is your chance of showing them what you’ve got. Let’s talk about the ecommerce funnel. Normally it’s Homepage – Category page – Product detail page – Cart – Checkout, but with Google Shopping the user enters at a lower step in the funnel. Shopping Ads shorten the ecommerce funnel by taking the user straight to the product detail page, instead of a category page or a multiple product listing page. The more enjoyable and straightforward the shopping experience, the quicker and more likely the shopper will click and convert. Images go a long way in catching the eye of a potential customer, making Google Shopping campaign ads incredibly effective. Setting up your automated product feed means that your Google Shopping campaign will update regularly, with no extra hassle. No constantly updating your campaigns manually or bidding on products that are no longer in stock. 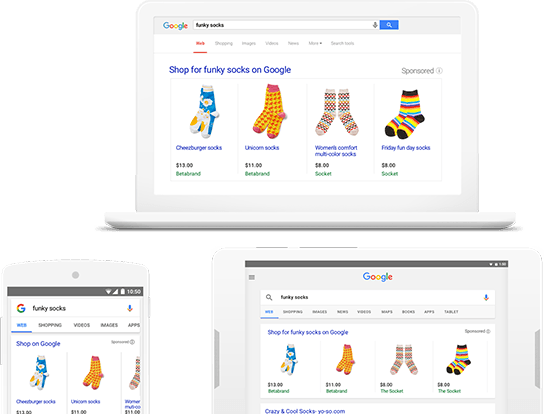 Google Shopping Campaigns allow you to see how well your products are performing either by product or by product attributes like, category, brand, type id or custom labels. This means that you can monitor the ROAS of a group of products or a particular item in just a few clicks. You know what they say: you’ve got to spend money to make money. The good news is that Google Shopping does not have a minimum daily budget for its Product Listing Ads. Depending on how much visibility you want to achieve for your products, you can choose a CPC of as low as $0.01 and end up spending anywhere between $1 to $5,000/day. Just keep in mind that a lower budget also means lower ad visibility for your products. After taking a look at about 90 of our accounts, in the last 12 months we’ve had an average ROI of 4.71. That makes Google Shopping costs extremely low, in comparison to other marketing channels. When it comes to paid advertising, Google still reigns supreme. However, with social media platforms becoming more and more business oriented and marketplace platforms such as Amazon upping their visibility game, there are more and more opportunities out there to drive sales. So is there a clear winner? Well, it all depends on your goals. And nowadays you have to advertise on multiple platforms, at the same time. Though it may be frustrating trying to learn different techniques for different platforms, the competition between Google, Facebook and Amazon is actually good for retailers, at least in the long term, as each platform competes in offering more innovative and cost effective options. There you have it. In our quest to determine the differences between the 5 platforms–we may have swayed you in one or more directions. However, keep in mind that it’s entirely possible to have a successful strategy that spans across one or more of them. book my free 30 minute consult to get your custom tailored 6 month roadmap to increased sales and profitability. ← Is Google Adwords Worth the Investment in 2018?